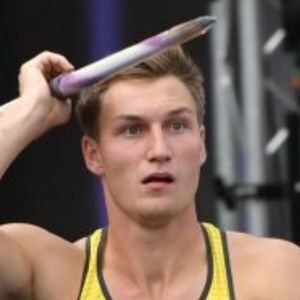 Track and field athlete who won the gold medal in the men's javelin throw at the 2016 Summer Olympics. He had previously emerged victorious at the 2012 German Athletics Championships and 2014 IAAF Diamond League. He attended Johann Christoph Friedrich GutsMuths Sports High School and the University of Jena. His gold medal-winning throw at the 2016 Olympics was just 0.27 meters short of the Olympic record of 90.57 meters. He has dated Lucia Francesca. He and Andreas Thorkildsen are both Olympic gold medalists in the men's javelin throw.